Just a short reminder that you can find great documentaries out there. One is Lunar Documentaries. A channel with a couple of really good documentaries about the Moon and our exploration of it. Enjoy! 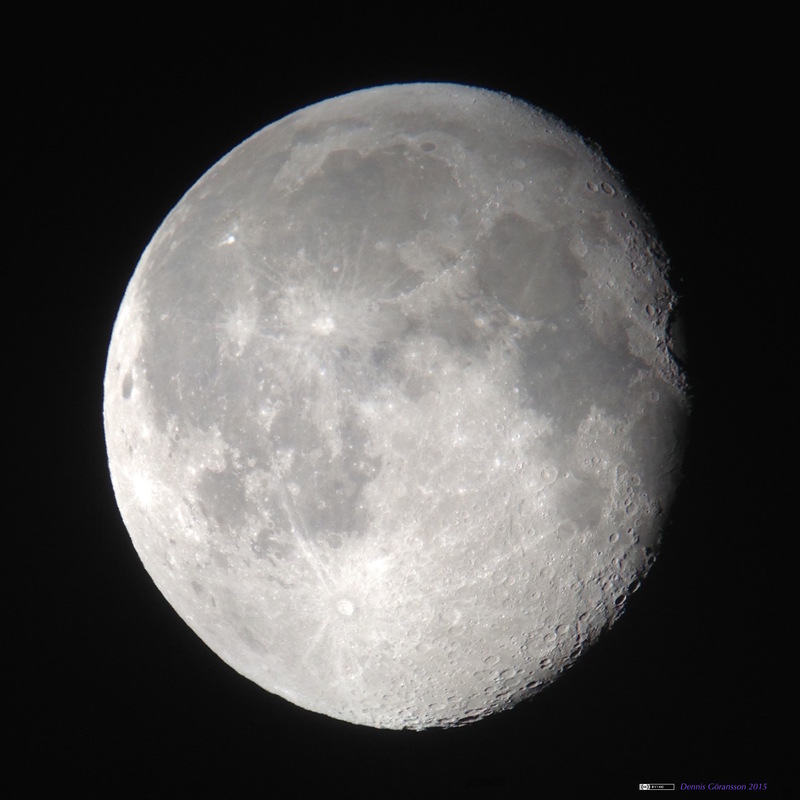 I just dragged the 12″ Dobson telescope out and held the phone to the eyepiece. The result was better than I expected. Not the best photo but it’s not edited or processed. As my first moon photo it’s ok.
Richard Dawkins Foundation: NASA is Seriously Considering Terraforming Part of the Moon with Robots. Popular Science: Colonizing the Moon may be 90 percent cheaper than we thought.